We're still not exactly sure when Marilyn Manson's latest LP will arrive (or if he'll keep the latest teasing title of Heaven Upside Down), but we do know that the shock-rocker is hitting the road this fall. 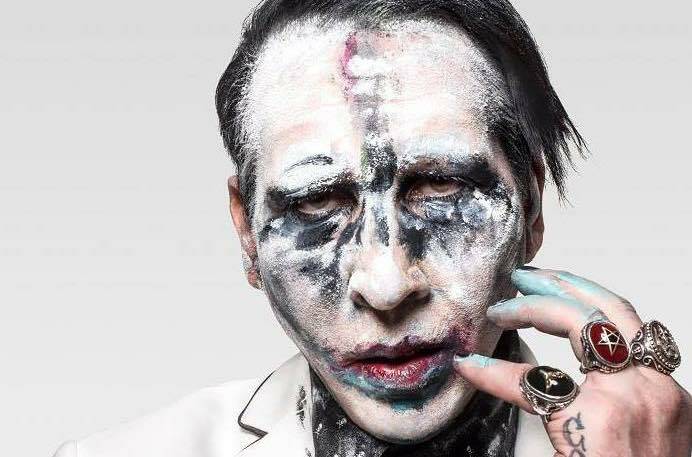 Manson has announced a North American tour that will kick off in Silver Spring, MD, on September 27. He'll eventually head north of the U.S. border for a sole Canadian date in Toronto on October 5 at Rebel. The full tour comes to a close on October 28 in Las Vegas. Check out the full list of upcoming dates down below. In other Marilyn Manson news, the musician revealed over the weekend that his father had passed away, with Manson sharing a touching tribute on Instagram. "Today I lost my father, Hugh Warner," wrote Manson. "He taught me how to be a man, a fighter and a survivor. He taught me how to shoot a gun. How to drive. How to lead. He will always be the best dad in the world. Somehow and somewhere, I know he is with my mom now. "I will keep my promise and never let you down. I miss and love you dad"
You can see the post below the tour dates at the bottom of the page. 10/08 Columbus, OH - Express Live!